I had the most amazing opportunity to meet someone that I not only look up to but someone who has helped change our life for the good. Several weeks ago I received an email asking me if I would be interested in helping as a volunteer at a FPU coordinator dinner in LA. I would need to come to LA, help with set up, assist coordinators as they arrive, and then help with whatever is needed for the remainder of the evening. Now any of you that know me, know I jumped at the chance. Those that do not know me let me share a little back story..
A few years back Doug and I were introduced to the Dave Ramsey financial plan by a friend and we were at a place where we were sick and tired of making good money and living paycheck to paycheck. 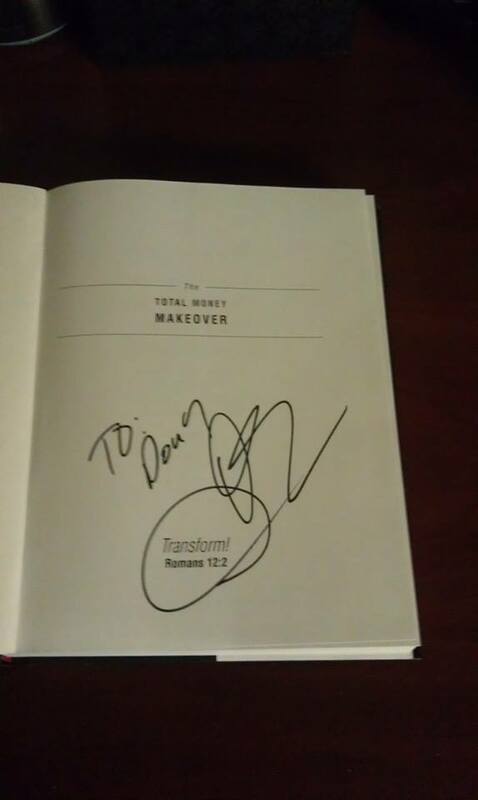 We purchased the Total Money Makeover book, attended FPU, and the rest is history. We spent the next 16 months working our tails off to get out of debt. At the end of the 16 months we were $58,500 lighter. From the moment we heard about Dave we have never been the same. So now back to the request for me to volunteer, Heck Ya! The least I could do, as a thank you to Dave and his entire team is volunteer my time to thank those who have coordinated FPU’s . Coordinator’s of FPU give other couples like us a chance at a new future. So I headed to LA, arrived in time to help put gift bags together and meet some of Dave’s amazing staff. I got to work first hand with a girl named Margaret who had just recently started to work with the Ramsey team and was the nicest person you could ever meet. We got to chat quite a bit, they fed us lunch, and treated us as if we were a member of their team. 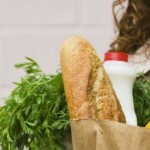 Once the coordinator’s started to arrive we greeted them, checked them in, and helped them feel comfortable. Believe it or not there were people there from my community that I knew and I could not be more thrilled to have gotten to serve them. 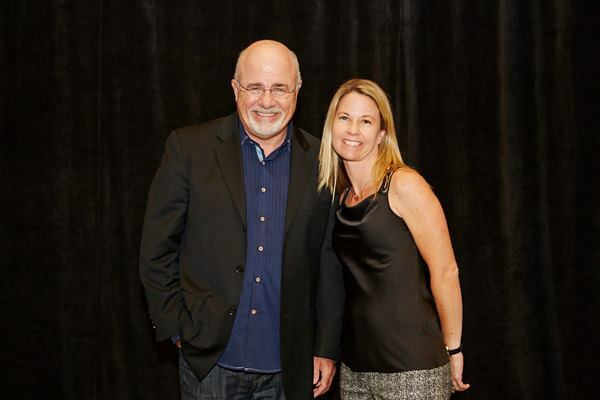 Then Dave Ramsey arrived! We got to help him welcome the coordinators in to the ballroom and were given the opportunity to take pictures with him. Then the “show” started. I was able to hear Dave speak, I learned about some new things coming up, and we got to applaud the coordinator’s who received awards for leading multiple classes within their community. Towards the end of the night I had mentioned to Margaret that I had brought my Total Money Makeover book and I was wondering if there was any chance Dave would sign it as a surprise to Doug for our anniversary. Margaret and the team loved the idea and by the end of the night I had my book signed! I know for some of you this probably sounds crazy but this was one of the best experiences I could ever had. Definitely checked something off the bucket list!